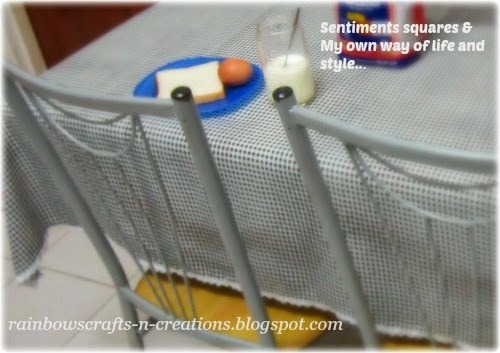 Sewing your own lace-trimmed tablecloth is an inexpensive way to dress up your table and it is very easy to make. 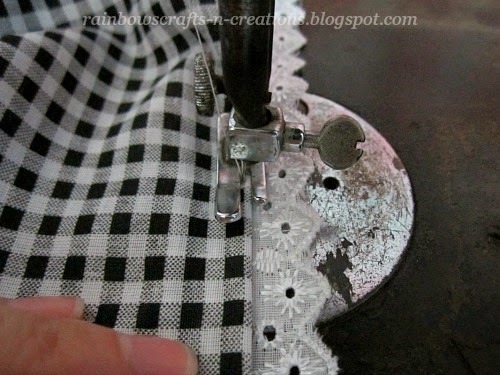 Normally, you shouldn't take more than one hour to complete a piece of lace-trimmed tablecloth if you use the sewing machine. 1. To find out the measurement of a rectangular tablecloth, measure the size of your table itself and add 10 inches of additional drop to all the four sides ( included 1/2 inch seam allowance). You can change the additional drop lengths according to your preference. 2. Make sure you have purchased enough lace with a margin for error and pleats before you start your work. This pattern requires three pleats only at the corners of the tablecloth and therefore leave a margin of 16 inches is enough. For example: if the perimeter of your tablecloth is 240 inches, plus a margin of 16 inches, so the length of the lace that you need should not be less than 256 inches. 3. Now, we are going to start the work. Cut out the fabric piece according to the final measurement. Fold the raw edge 1/4 inch and press, and then make another fold 1/4 inch so you have a doubled over layer of fabric along the edge. This will keep the edge from fraying. 4. 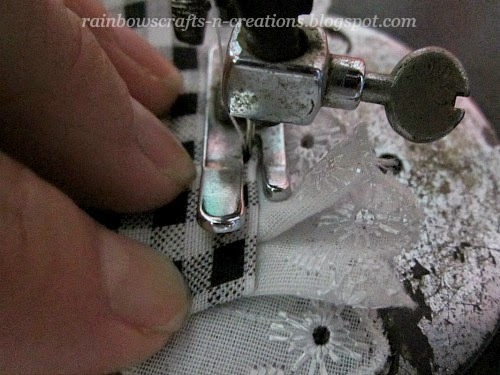 Place/pin the folded edge on the right position of the lace and sew a 1/8 inch (about 2mm) seam down along the folded edge as shown in the photo below - place the fabric and lace right side up under the presser foot of the sewing machine. Sew a 1/8 inch seam along the folded edge of the fabric. 5. Pleat the lace near each corner of the folded edges. Pleat and hold the lace in place with a long needle. I didn't pin or baste across the pleats in advance. I lift the presser foot when I reach the part near to the corner, then push and gather the lace which lay under the fabric towards the back of the presser foot to create pleats - make a pleat before the right angle and make a diagonal pleat right on the right angle to align the corner (don't lift the needle when you lift the presser foot). Then lower the presser foot and continue sewing a 1/8 inch seam down the edge which mean you sew across the pleats at the same time. Now, lift the presser foot (don't lift the needle) and turn the fabric to the other side, make the third pleat after the right corner. 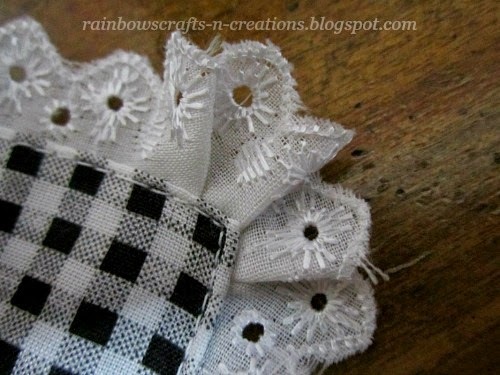 Try to pleat the lace evenly. Then continue sewing a 1/8 inch seam down along the folded edge to next corner. Follow the same method to get your work done. Make three pleats at the corner of the tablecloth.